Find yourself Doodling in meetings or while on the phone? Always fancied a go at illustrating? 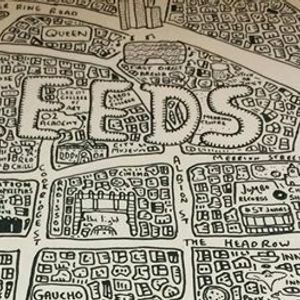 Following the success of the Leeds Doodle maps stocked in Chirpy, we are delighted to welcome back Dave Gee of Dave Draws to run another Doodle Map Masterclass. This 2 1/2 hour masterclass will give you the chance to doodle your favourite area and create a unique map and piece of art for you to take home, under the guidance of Dave. All you need is an idea of where you want to doodle. 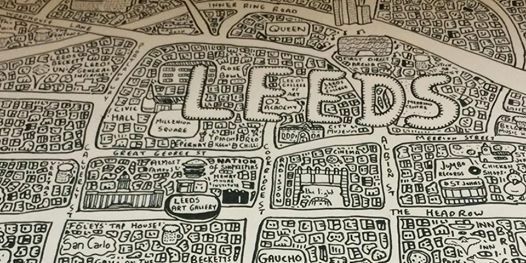 Dave is a 27 year old Manchester based artist who has been taking his unique doodle map style all around the country and has recently begun to teach others how to make their own! Speed Dating / Leeds / at Chino Latino / Age Groups: 21 to 35 / 30 to 45 / 40 to 55.